Win a Pass to Slide the City! 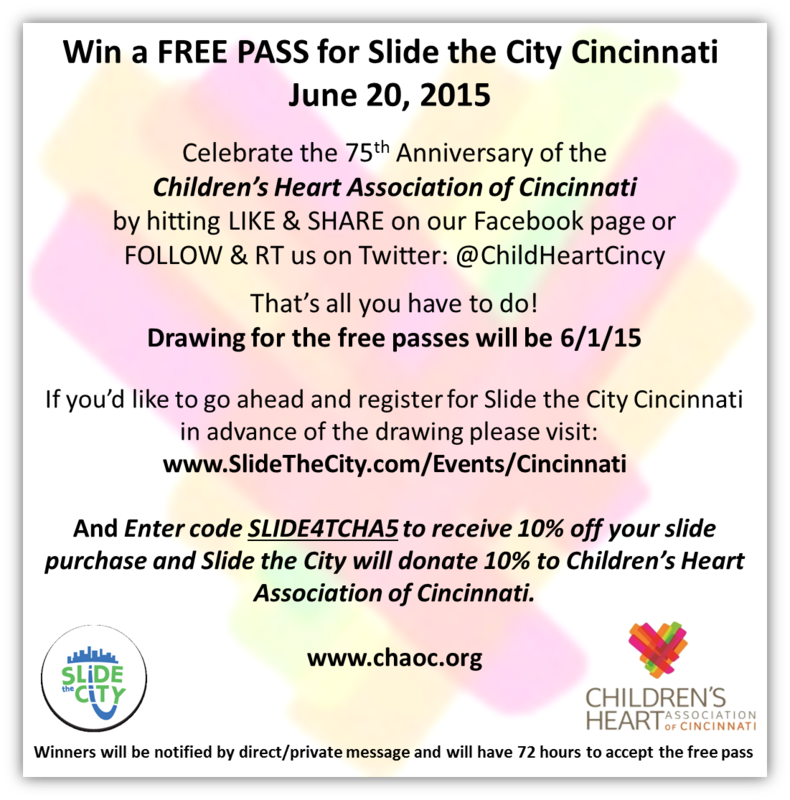 Here is your chance to win a free pass to Cincinnati’s Slide the City! All you have to do is LIKE & SHARE on Facebook or TWEET & RETWEET on Twitter @ChildHeartCincy. The winners will be drawn on June 1st. Don’t forget that you can purchase additional discounted slides by entering code SLIDE4TCHA5. You will receive 10% off and Slide the City will donate 10% to CHAoC! Good luck!